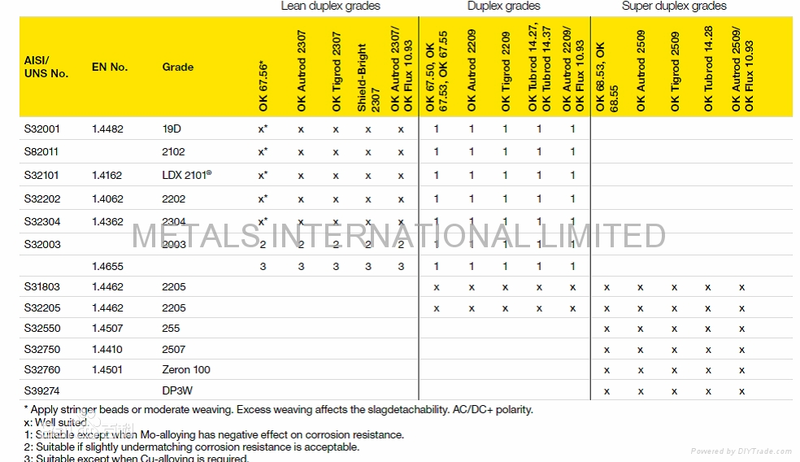 The table lists the duplex stainless steels covered in ASTM specifications for plate, sheet, and bar products. a Weight percent, maximum unless otherwise noted. b Unless otherwise indicated, a common name, not a trademark, widely used, not associated with any one producer, as listed in ASTM A 240.
c W 0.50-1.00; Cr+3.3Mo+16N=40 min. Duplex Stainless Steels have a structure that contains both ferrite and austenite. 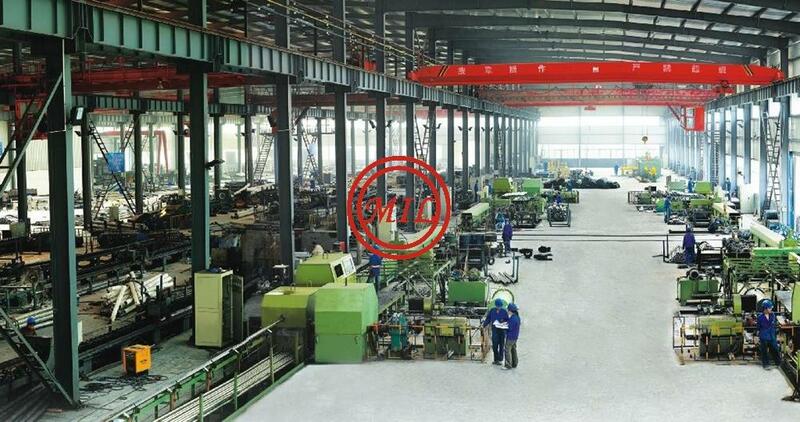 Duplex alloys have higher strength and better stress corrosion cracking resistance than most austenitic alloys and greater toughness than ferritic alloys, especially at low temperatures. The corrosion resistance of duplex alloys depends primarily on their composition, especially the amount of chromium, molybdenum, and nitrogen they contain. Duplex alloys are often divided into three sub-classes: Lean Duplex (AL 2003?alloy), Standard Duplex (AL 2205 alloy), and Superduplex (AL 255 Alloy and UNS S32760). 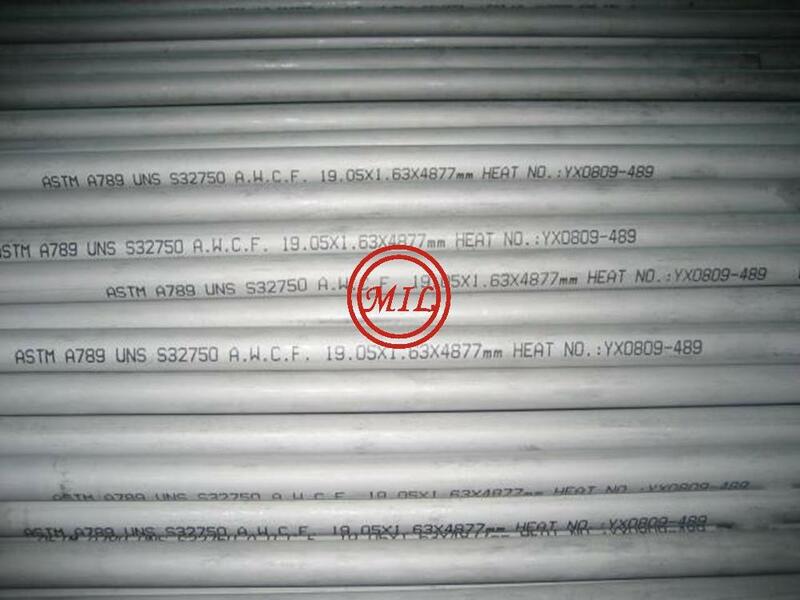 High resistance to pitting, crevice corrosion resistance. Duplex stainless steels have a mixture of austenitic and ferritic grains in their microstructure; hence they have a duplex structure. This effect is achieved by adding less nickel than would be necessary for making a fully austenitic stainless steel. 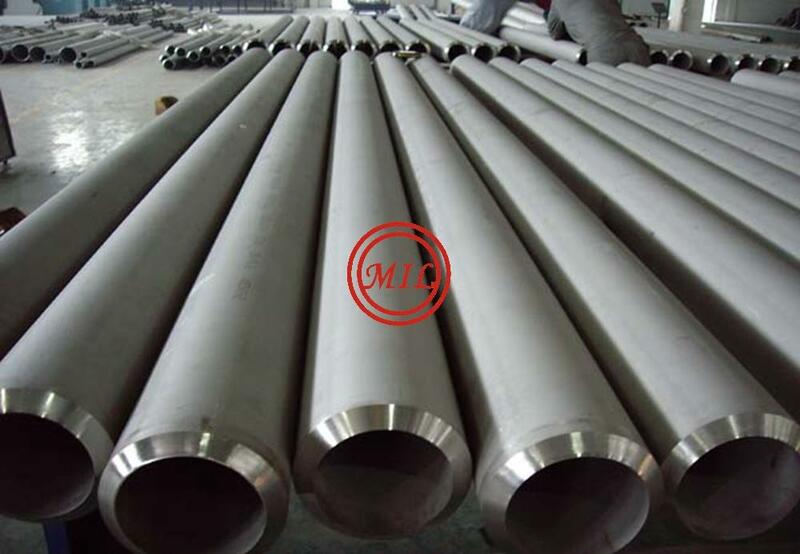 The σ phase can deplete chromium and molybdenum in surrounding areas and reduce resistance to corrosion. As little as about 1% σ phase may reduce impact toughness, while about 10% can cause complete embrittlement of duplex stainless steels. The first-generation Duplex stainless steels were developed more than 70 years ago in Sweden for use in the sulfite paper industry. Duplex alloys were originally created to combat corrosion problems caused by chloride-bearing cooling waters and other aggressive chemical process fluids. 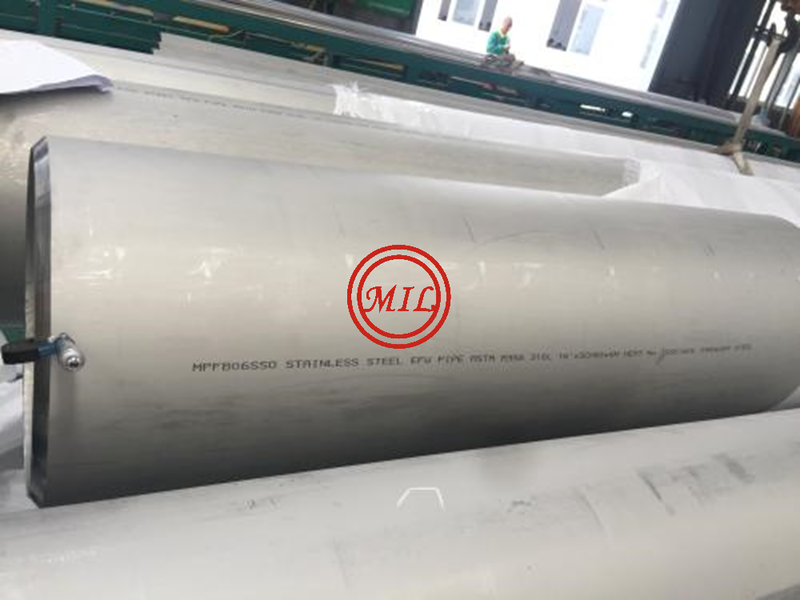 Called Duplex because of its mixed microstructure with about equal proportions of ferrite and austenite, Duplex stainless steels are a family of grades, which range in corrosion performance depending on their alloy content. 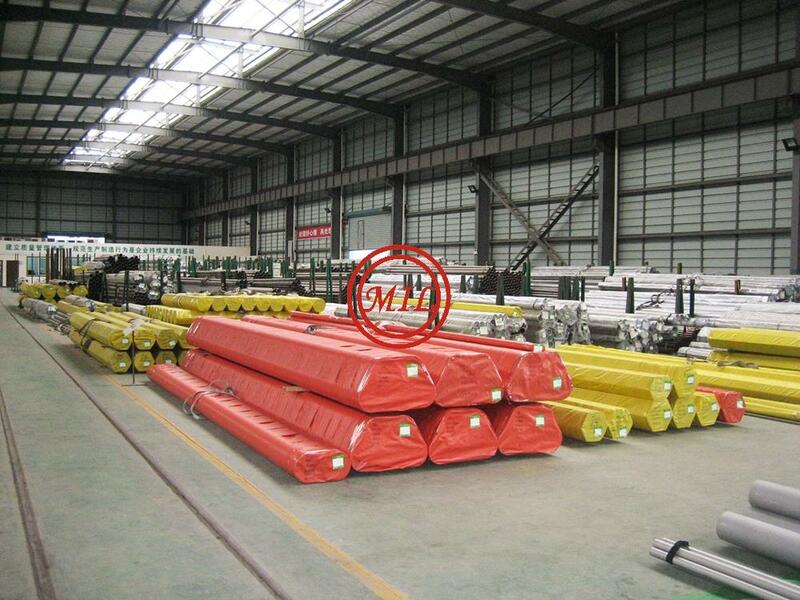 The term "Super-Duplex" was first used in the 1980's to denote highly alloyed, high-performance Duplex steel with a pitting resistance equivalent of >40 (based on Cr% + 3.3Mo% + 16N%). 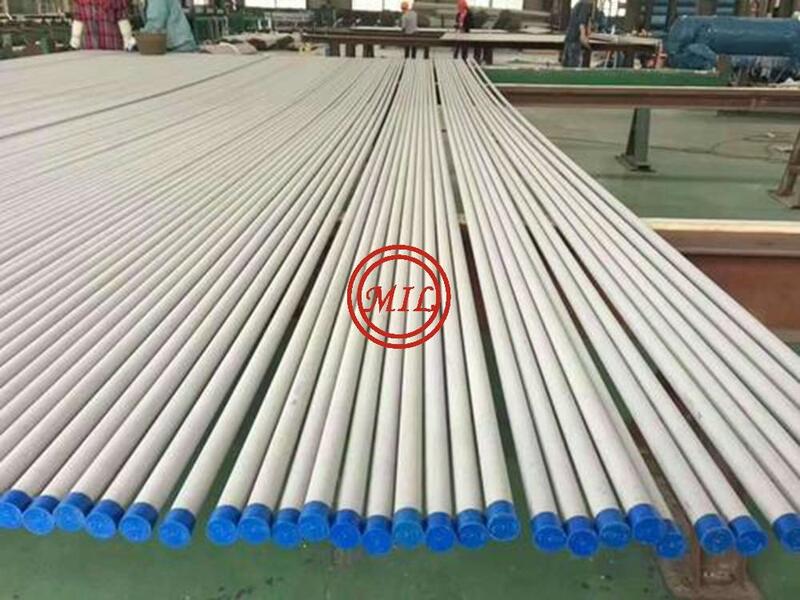 With its high level of chromium, Super-Duplex steel provides outstanding resistance to acids, acid chlorides, caustic solutions and other environments in the chemical/petrochemical, pulp and paper industries, often replacing 300 series stainless steel, high nickel super-austenitic steels and nickel-based alloys. The chemical composition based on high contents of chromium, nickel and molybdenum improves intergranular and pitting corrosion resistance. Additions of nitrogen promote structural hardening by interstitial solid solution mechanism, which raises the yield strength and ultimate strength values without impairing toughness. Moreover, the two-phase microstructure guarantees higher resistance to pitting and stress corrosion cracking in comparison with conventional stainless steels. From the introduction of its first-generation, Duplex steel has seen a steady increase in popularity. 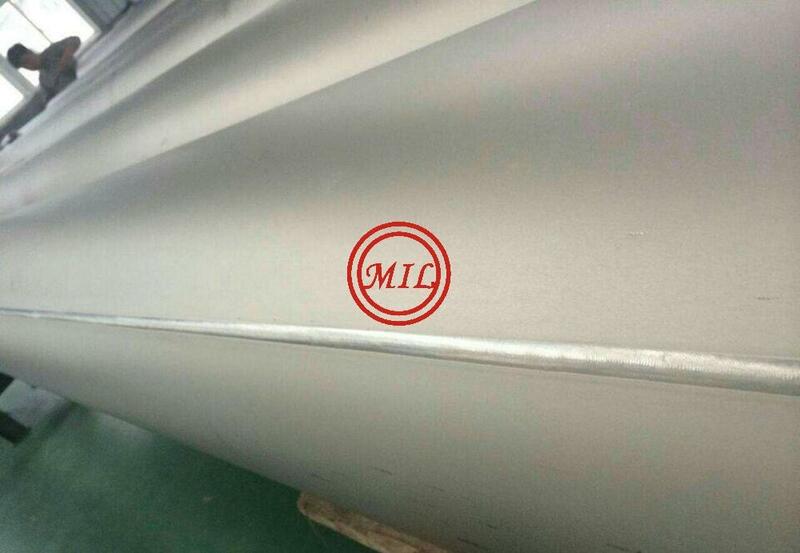 Recently, the production of high-strength, corrosion resistant super-duplex coil has been implemented in the marine and chemical industries, architecture and mast riggings, wire lines, lifting and pulley equipment and well service strands. In fact, development of wire processing techniques has enabled the production of steel wires down to 1mm in diameter. Seamless Pipe 1. 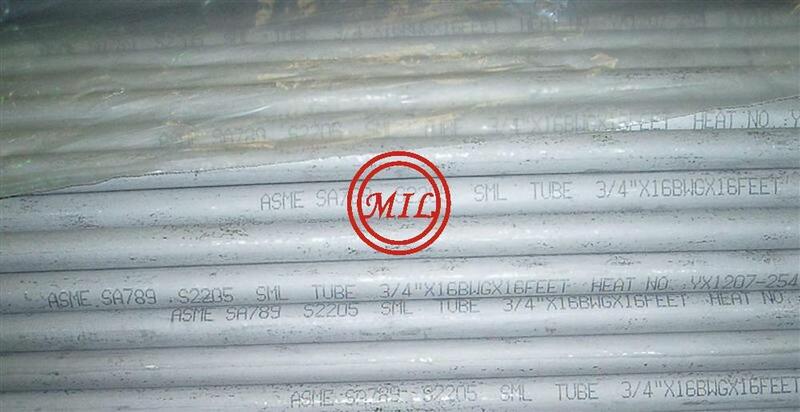 ASTM A789/A789M 12.7-1016x 0.5-25.4mm 2. 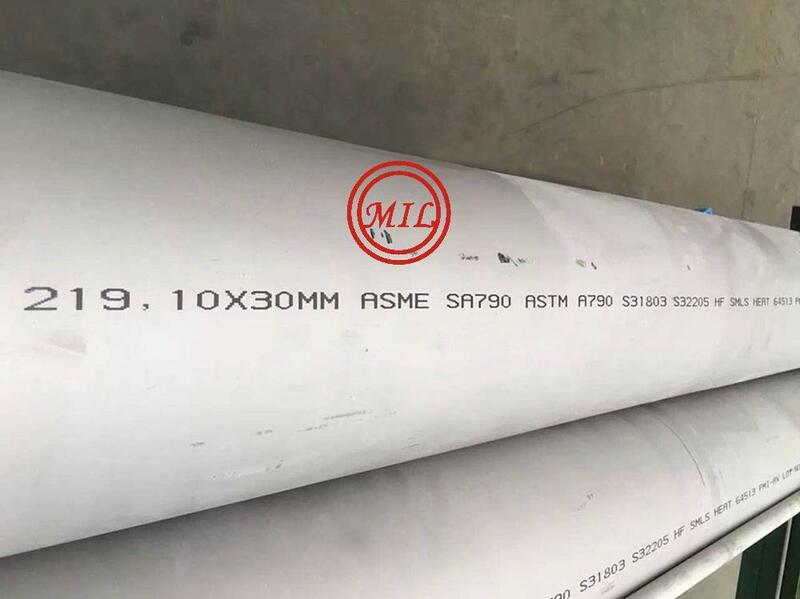 ASTM A790/A790M 10.3-1016x 0.5-36mm 3. 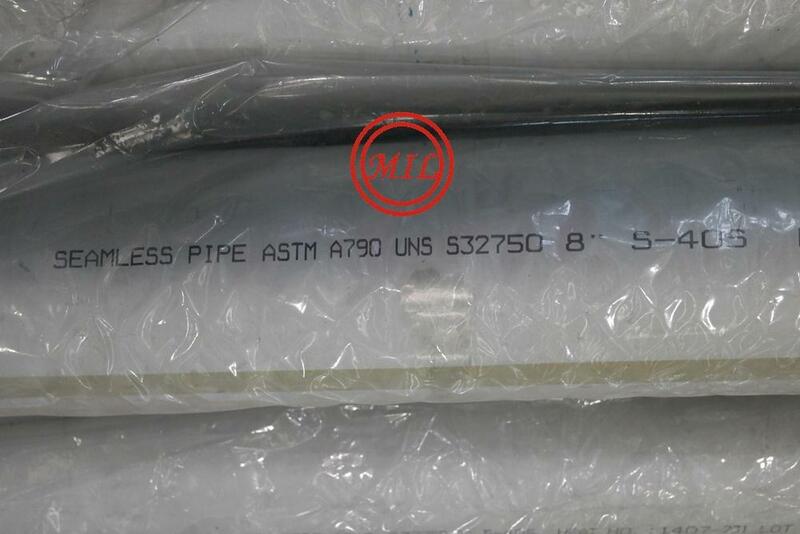 API 6L EFW Pipe 1.ASTM A789/A789M:12.7-323.9x0.5-12.7mm 2:ASTM A790/A790M 10.3-610x0.5-18mm 3.ASTM A928/A928M 10.3--610x 0.5-18mm Material: UNS S31500 S32304 S31803 S2205 S2760 S2750,S 32205, S 32550, S 32750, S 32760.